I’ve been rewarded this year by being introduced to the poetry of Billy Mills, whose recent The City Itself is one of those occasional collections that can make you question why you write the way you write. It simplifies the complex, and finds huge space for exploration in what is seemingly simple. It’s about place, and about the elemental and the supposedly insignificant, the particular and the universal, and the relations between them. It’s words, but it creates a soundscape – a rising and falling of the whispering air around us. It’s great, basically, and is part of a continuity of work Mills has been working on since the late 70s – a series of books that form one long book, or one long conversation/interrogation, at least. 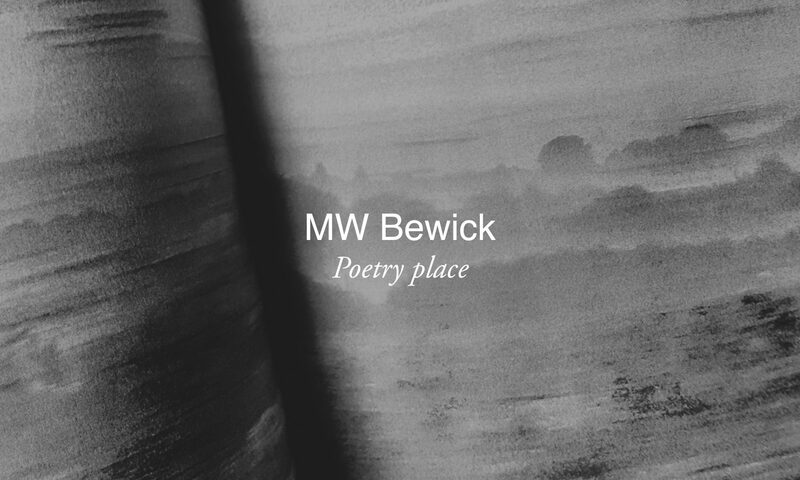 Nicely put, and one of the reasons why I’m delighted that Mills has reviewed my recent debut collection of poems, Scarecrow, on his Elliptical Movements blog, alongside work from Peter Philpott, Sonja Benskin Mesher, John Phillips, Daragh Breen, and Anna Cathenka. You can read the reviews here. It’s a blog worth subscribing to. I’ll be reading from my book Scarecrow, and debuting a couple of brand new poems, at two nights in the next week or so. Thursday 25 May I’ll be doing two sets at Poetry Wivenhoe, in Essex, supporting Martin Figura and Helen Ivory – a home-town gig for me. Details here. The following day, Friday 26 May I’ll be reading a short set at a Red Raw evening of various entertainments at Vout-o-Reenees in Aldgate, London. Details here. Lots more to catch up on, but that’s it for now. Have yourselves a great weekend. Hope to see some of you at one of these, or a future reading. Scarecrow has been on a mini tour of the region since its launch – I’ve read in Wivenhoe a couple of times (at the Wivenhoe Bookshop launch and at Poetry Wivenhoe) and at Ipswich (as a guest of Suffolk Poetry Society) and at Bury St Edmunds (as the guest reader at Poetry Aloud). Thanks to everyone who came and listened as the Scarecrow found its voice – it’s been a pleasure reading. Rather nicely each set has been quite different, drawing on various aspects of the collection. I must have read nearly half of the collection out over the few dates. And thanks to everyone who bought books, too. Not only does it make the author feel like it was worthwhile, but the funds go straight back into Dunlin Press and are set directly against the costs of the next book. You’re helping to keep indie publishing alive. Anyway, thanks for the invites, and for the time. It’s been a good, good thing. Well here it is. This has been simmering for around three years now and the poetry cauldron of trouble is about to bubble over. We’re cooked, done… and it’s over to you. Scarecrow is published on Friday 17 March and is being launched at The Wivenhoe Bookshop, Wivenhoe, Essex, on the same day, at 6.30pm for 7pm. I’ll be reading some of the book’s poems and looking at their roots and the creative process involved in writing them. Scarecrow is about place. It’s about London and Essex, and it’s about being between places too. Many of the poems were written on trains to and from the capital. It’s about trying to be somewhere and being nowhere – and about finding your place. That’s the contradiction of the ‘scarecrow’, I suppose. S/he’s grounded, stuck, marooned, and also isolated, outcast, alone. It scares away rather than attracts. How can it feel ‘at home’, or ‘at one’, when it endures such penury of existence? To be ‘home’ means to be accepted, and to accept. The scarecrow stands outside of such considerations, yet remains within our gaze, within our judgement. The scarecrow could be described as ‘everyman’. I hope readers will feel that connection. But I think, at a deeper level, this modern monad is also the human who truly understands what it is to travel because travel is what is needed, or forced. To travel and enter, and yet remain always at the periphery, always being the outsider. The previous book by Dunlin Press, who publish Scarecrow, and whom with I am indelibly attached, is The Migrant Waders, and I feel maybe some of the urgency and sorrow that marked that book, and which all migrants no doubt understand, has rubbed off here. So there’s the contradiction again. To be present, and yet have no agency. To have to travel, and yet never to truly arrive. If you’re in or around Wivenhoe on the 17th, or can be, come along to the bookshop – let them know you’re coming – and we’ll raise a glass to all scarecrows. And do get in touch if you’d like me to come and read some of these poems at your own poetry event. If you’d just like to get hold of a copy of the book, you can do so here, or ask your independent bookshop to order one from Dunlin Press. If you’re a journalist who would like a review copy, drop me or the publisher a line and we’ll sort one out. In construction sites we see our mortality, our grand lie, the potential for the futility of all human creation. The scaffold grounds us rather than lifts us. It is the very picture of our ennui, the dream of our true existence. In the writing of my upcoming collection of poetry, Scarecrow, the ever-evolving skyline of London – which is itself a euphemism for the loss of homes, the displacement of families, the estrangement of individuals, the eradication of cultures etc etc – was a constant presence. Even at the other end of the rail tracks, out in northeast Essex, the sense of almost violent change etched itself into consciousness – on the platforms, in the pubs, and as the opaque tides of the Colne sludged their way in and out. There, ‘the arms that thrust above the streets / the colour of blood’; and then, elsewhere, the ‘galium hedgerows’, the ‘over-luxuriant trees’, the ‘blooms of frost’ on flint walls. These collocations are just some of the tensions that the poems explore – although I’m not sure ‘tension’ is really the right word. It just ‘is’. And the Scarecrow just stands there, seeing as much as it can.